Phicomm Passion 660 is an incredible smartphone with mid-flagship specifications and it comes with most affordable price tag. 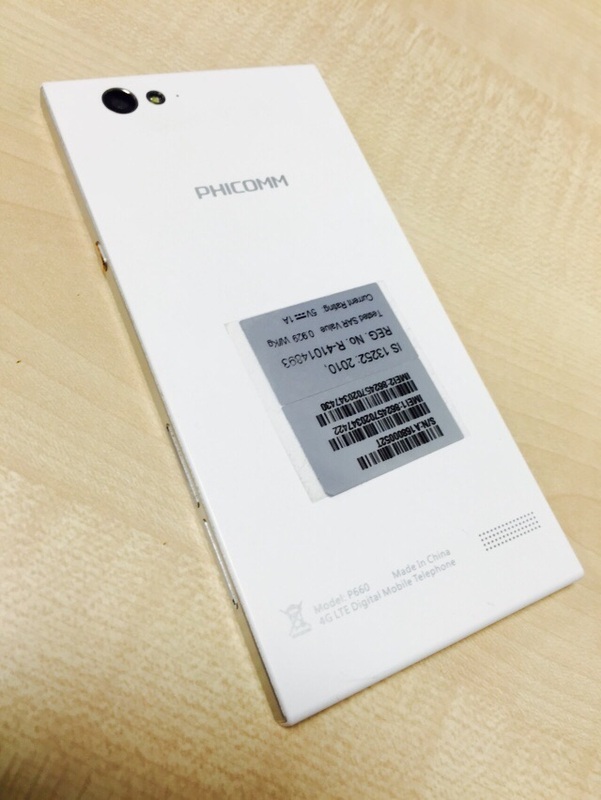 Chinese mobile vendor Phicomm has entered the Indian market with the launch of its Passion 660 smartphone. Phicomm P660 is a sub-Rs 11K device that is equipped with full-HD display, Qualcomm’s 64-bit Snapdragon 615 octa-core processor and 2GB RAM. When we did the performance and in-depth review of Phicomm passion 660, we understood there will be drastic take over of Smartphone market by the new budding companies, rather than already established companies like Apple, Samsung, LG etc. This is because of the quality given by the new budding companies like Phicomm, ulefone etc is same as smartphone Giants. To differentiate the offering by Phicomm from others, the company has thrown in a barometer and dedicated pedometer feature. 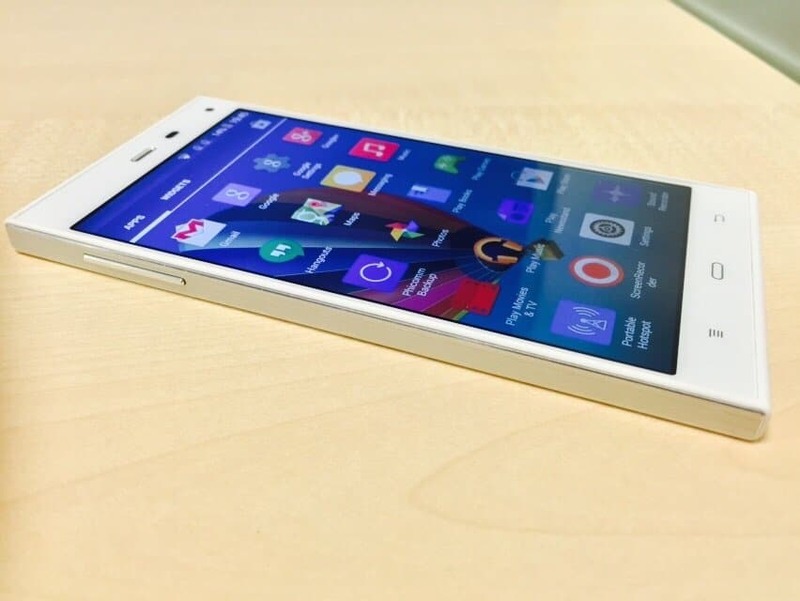 The smartphone looks like any other rectangular slab out there with sharp corners and flat edges. However, once you get your hands on the phone, you’d surely be surprised by its lightweight body (weighs just 110 grams) and premium fit and finish. The right and left edges of the phone feature magnesium alloy with a brushed finish while the back has a matte look with a special powder coating which the company claims, is resistant to scratches. We found the claim to be true and also observed that it’s not very prone to smudges. The right edge of the smartphone sports a metallic power button that has a bronze inset and two sim card trays, while the volume rocker key, also sporting a metal finish, is at the left edge. 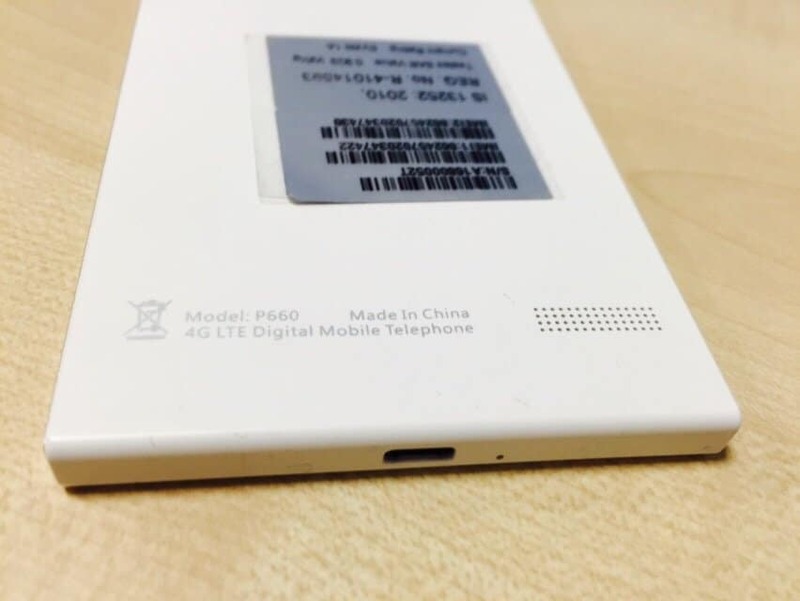 The phone has a uni-body design which means the back is not removable. You’ll find a 13 MP rear camera and an LED flash at the back, flush with the body of the phone. There’s a chrome ring that encircles the lens and the flash. The front is dominated by a 5-inch full-HD (1920 x 1080p) IPS LCD panel with the three capacitive touch navigation buttons placed just below the screen. Unfortunately, the keys are not backlit. 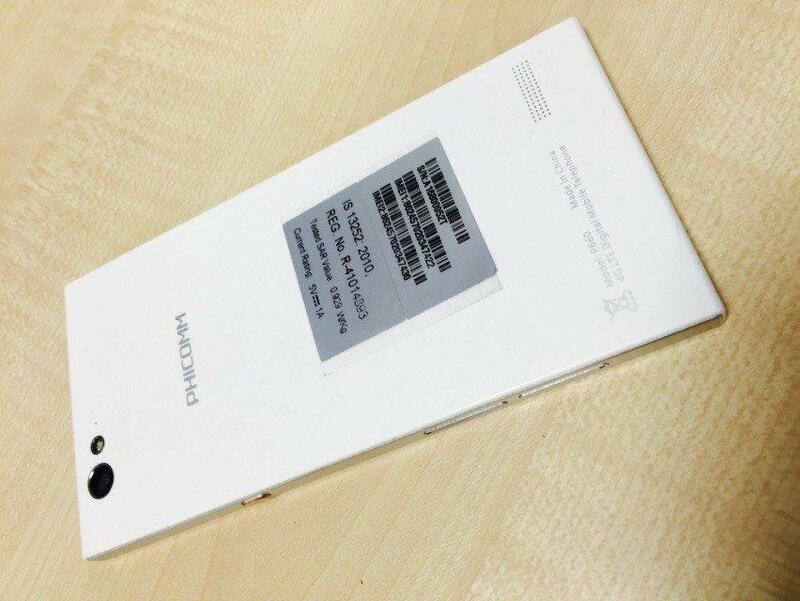 The 5 MP front camera and sensor array are placed above the display. The phone is well built and doesn’t wobble or squeak when pressed. 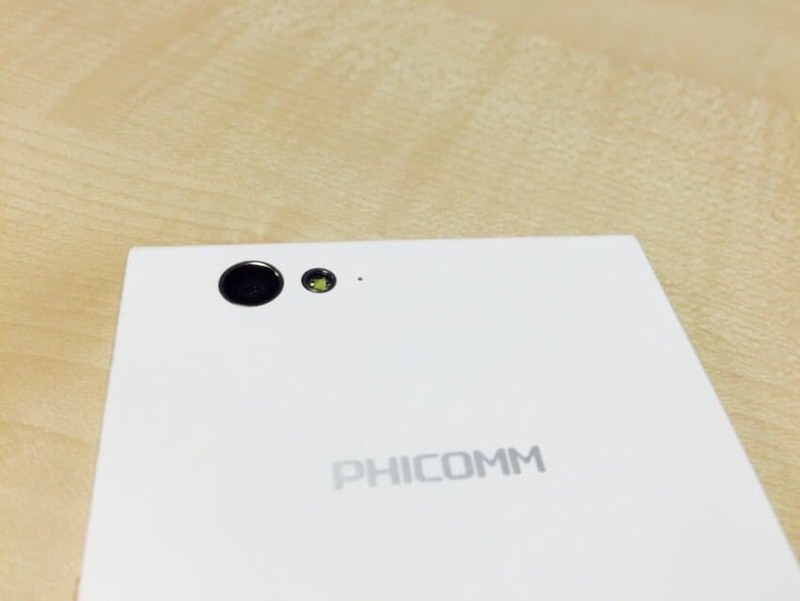 Overall, the Phicomm Passion 660 won’t really turn heads down and we feel that its straight lines and sharp corners give it an industrial look. However, the phone’s lightweight body and scratch resistant back are a major differentiator and among the plus points. 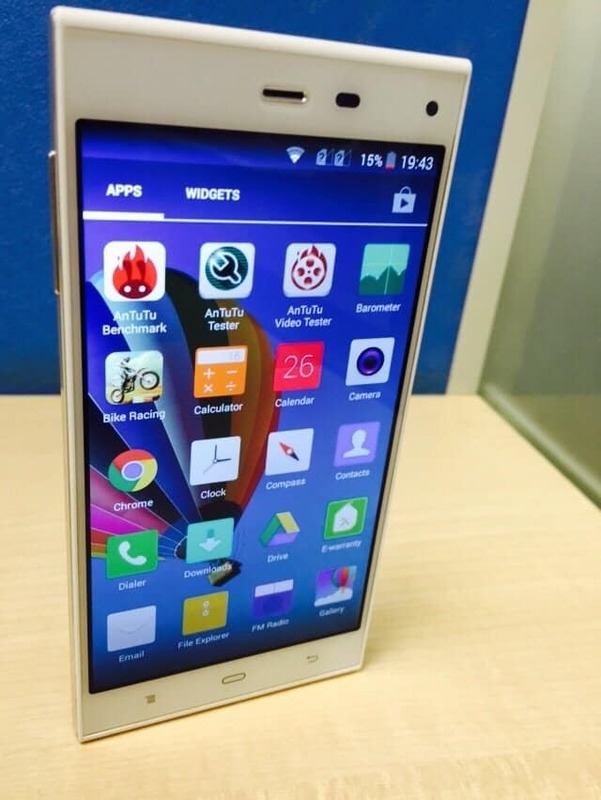 The Phicomm Passion 660 sports a 5-inch full-HD (1920x1080p) IPS display. The display is ideal for one-hand use and we found that the touch sensitivity was very good. The phone’s display offers wide viewing angles and decent brightness levels. However, color reproduction was a little off. To be honest, we felt the colors weren’t vibrant enough. Sunlight legibility also suffered as the screen is very reflective. 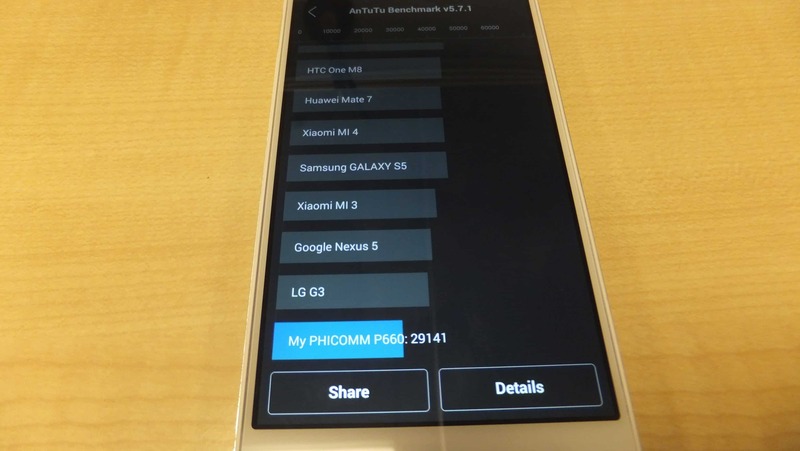 Phicomm Passion 660 runs Android 4.4 KitKat with Phicomm customized Expect UI skin running on top. 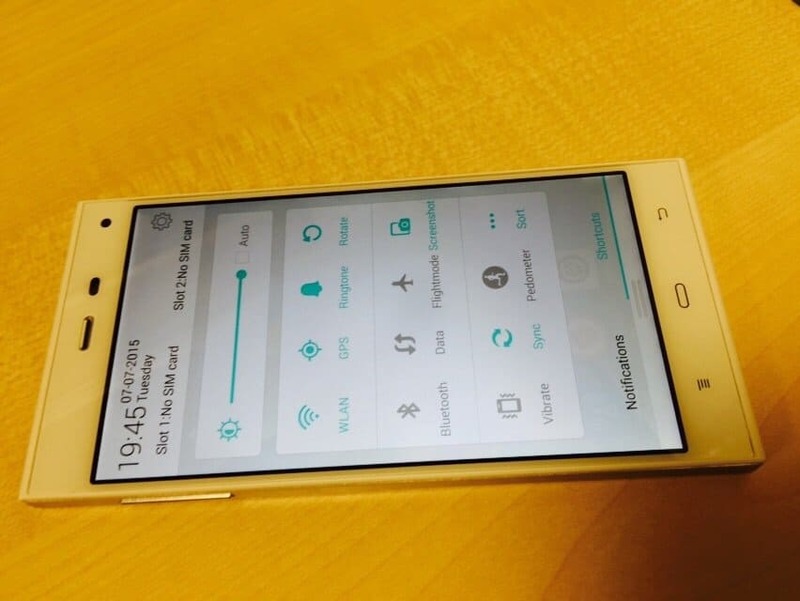 Unlike most Chinese smartphones, the Passion 660 features an app drawer in addition to the default home screens. It also doesn’t feature UI themes. The phone does support widgets though and there are lock screen widgets for the step counter and music apps. It features customized native apps for Calculator, Music, Compass, File Manager, Phone and Messaging, among others. You also get an app to backup data locally (on internal storage or microSD card), an app to transfer data via Wi-Fi and another one to transfer content through Wi-Fi direct. 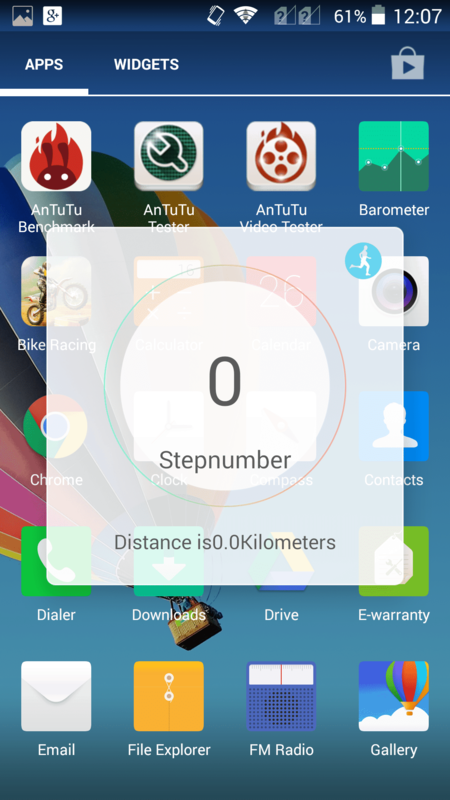 There’s a pedometer widget that sits on the home screen counting the number of steps. It also offers weekly statistics for steps and calories. We did not find the step counter to be very accurate. 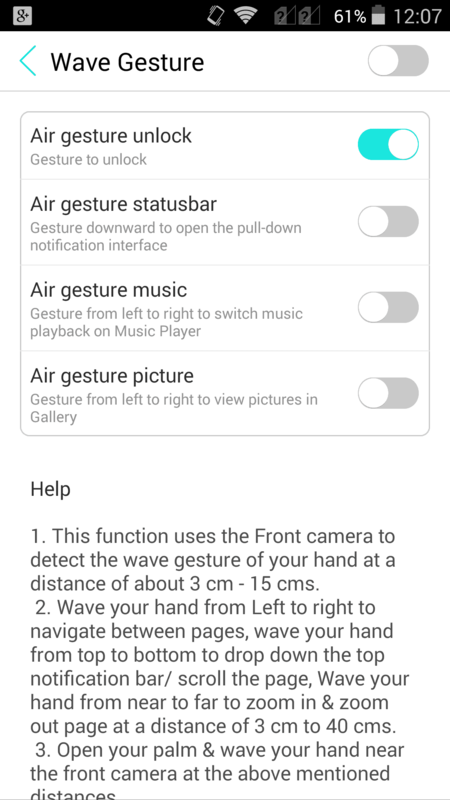 Another feature the phone offers is gesture control. It uses the front camera to detect hand movement and supports simple actions like unlocking the screen, pulling down the notifications tray and browsing through the home screens, pictures in music. The feature is hardly new and while it works as promised, it’s nothing really more than a gimmick. The Phicomm 660 comes with a 13MP rear camera with 1.12um pixel size and a 5MP front facing camera with 84 degree wide lens. The company ships the phone with its own Camera app which includes granular settings for attributes like exposure, ISO and anti-banding, among others. It doesn’t offer a Panorama mode and the HDR mode is called Sunset mode. Pictures shot in daylight looked really good with accurate color reproduction and great detail. Pictures taken in low light conditions lost some detail as the camera processes images to remove noise, but thanks to the bigger pixel size and BSI technology, the sensor captures good amount of light. The front camera also works well and captures good quality selfies. The phone supports full-HD video capture and the quality of the videos shot with the phone was satisfactory. The Phicomm P660 is powered by a Qualcomm Snapdragon 615 octa core chip with 1.5GHz processor, Adreno 405 graphics and 2GB DDR3 RAM. 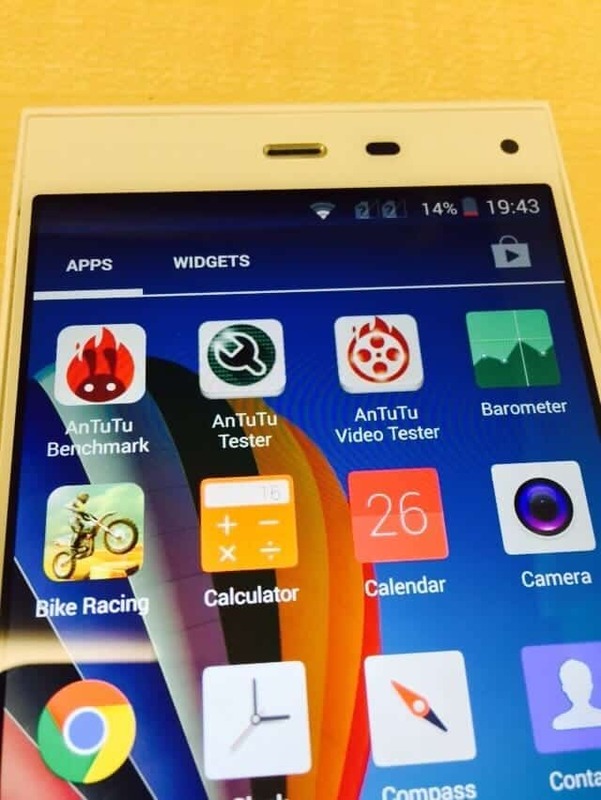 We’ve seen the same chip in the recently launched Vivo X5Max, YU Yureka and ZTE Nubia Z9 mini phones. Qualcomm’s latest chip supports dual-mode 4G LTE connectivity with support for both LTE TDD 2300MHz and LTE FDD 1800MHz bands covering most present and upcoming Indian 4G networks. We were not able to test 4G as our location doesn’t have any LTE network yet. The phone comes with 16GB of internal storage with 13.18GB available to the end-user. We did not notice any stutter or lag while launching and switching between apps, editing photos, browsing the web, clicking pictures, watching high definition videos or playing graphics-heavy games such as Asphalt 8. However, we did observe that the phone tends to heat up after playing games for more than 10 minutes. 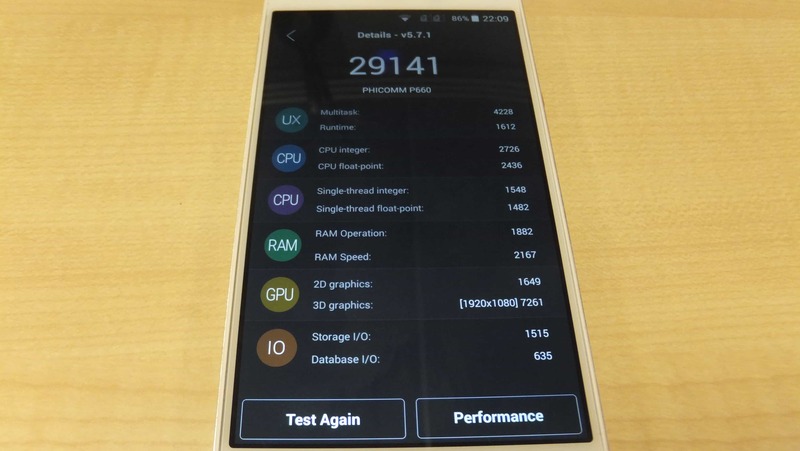 The phone scored 29,141 in AnTuTu and 17,048 in Quadrant Standard tests almost at par with LG G3, Yu Yureka and it scored higher the Xiaomi Redmi note. We don’t endorse benchmark tests and do not recommend a phone based solely on benchmarks as real world performance is different at times. Phicomm Passion 660 comes with a 2,300mAh battery and the results were mixed, especially if you turn on full brightness and keep 3G data on. With moderate to high usage, including about one to two hours of making calls, playing games, clicking some pictures, listening to music and browsing the web, the phone will last you a full working day (11 to 12 hours with 1-2 hours screen on time) even if you put the screen brightness at the maximum level and keep 3G turned on. At Rs 10,999, the Phicomm Passion 660 is a good package with its light weight frame, mid-range hardware specifications, decent performance and an affordable price. The camera is also among the high points of the phone. However, we really hope the company offers a software update to fix some of the phone’s quirks and bring the OS version to Android 5.0 Lollipop. It does offer better value for money when compared to the ZTE Nubia Z9 mini and Xiaomi Mi 4i but lacks refinement, especially in areas like software. Both rivals come with Android 5.0 Lollipop and feature a number of additional software enhancements. The pedometer and barometer are good value adds but there’s nothing game changing. 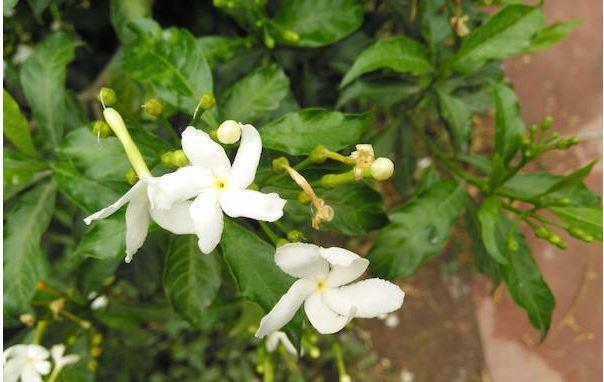 We’re also not sure about the after sales support as the company is relatively new and still in the process of establishing service centers. At Rs 10,999, the Phicomm Passion 660 is a good package with its light weight frame, mid-range hardware specifications, decent performance and an affordable price.